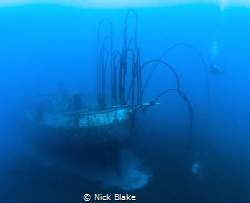 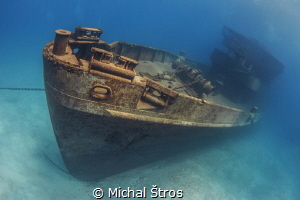 SMS Undine wreck laying on 47meter. 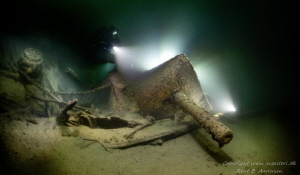 this is one of the cannons and in front you can see 2 shells for the cannon sticking up from the mudd. 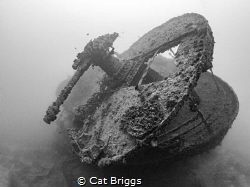 U89 WW1 Sub that which was rammed by the HMS Roxburgh amidships and cut it in two. 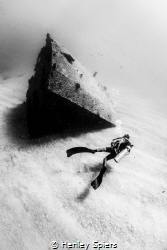 It is now laying on 62m. 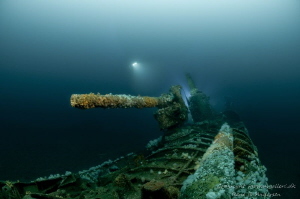 On the picture is the forward gun and behind it the turret. 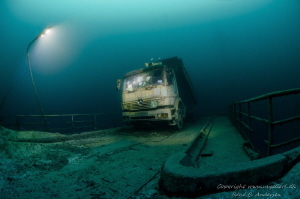 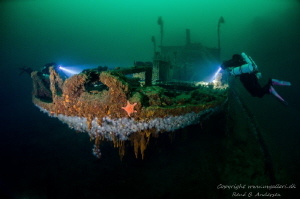 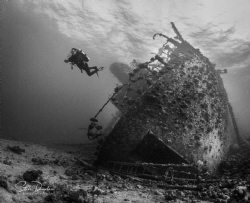 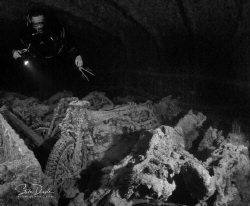 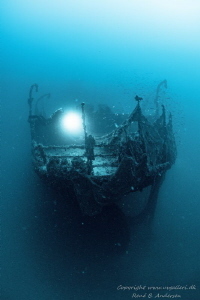 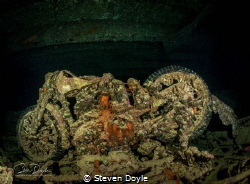 The Wreck Helge laying on 50 meter depth in Åland, Finland. 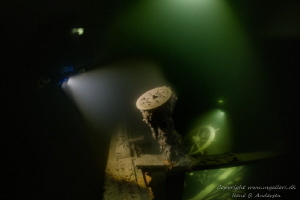 You can see the engine telegraph og the wheel in the background. 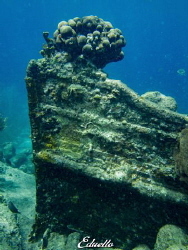 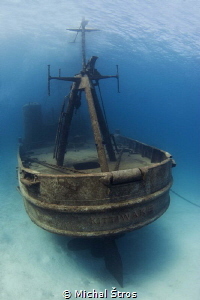 It is a wooden ship laying in fresh water so it is preserved. 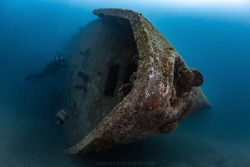 Betty bomber which you often seen from PUBG mobile, this giant sunk in Truk Lagoon already 75 years. 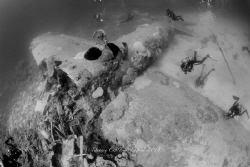 B-17 Flying Fortress laying on 75meter depth near the island Vis. 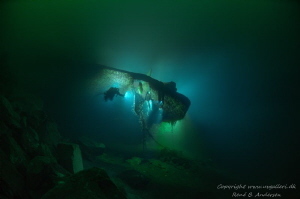 Oldenburg ww2 wreck laying in Norway on 75meter depht where this photo is taken. 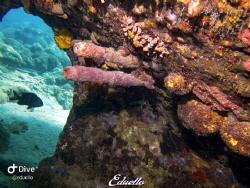 The photo is taken with tripod and longe shutter time. 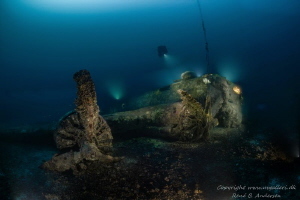 Parat ww2 wreck is laying on 60meter in Norway. 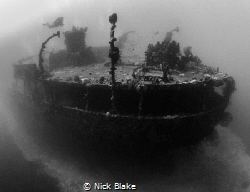 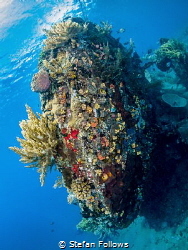 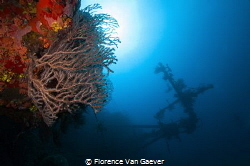 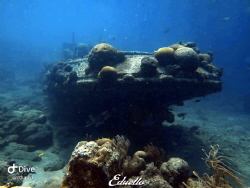 Wiebeke wreck and diver, St Lucia. 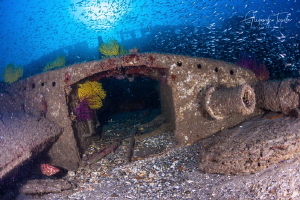 “Dramatic Appearance” Found this wreck in Barbados. 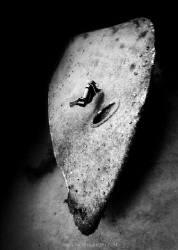 It’s always an eerie feeling when they appear from the cloudy water.